Danish Design is world-renowned for many reasons. 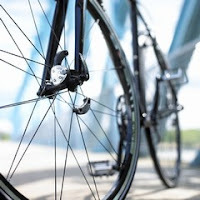 And it is only natural that our design tradition extends to our love affair with bikes and bicyle culture. It is also only natural that the world's most prestigious design awards are based in Copenhagen. This year at the INDEX:2007 [International Design Exhibition - Design for Life] Awards the Danish designer Troels Pedersen was awarded for his new iFlasher bike lights in the Community category. 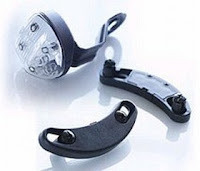 The iFlasher, currently in production at Reelight, is a step up the ladder in the evolution of battery-free bike lights. These Reliable Electrodynamic Bike Lights are run by magnets positioned on the spokes and they will always flash as long as you pedal. Gone are the days of forgetting your bike lights at home. They're always with you. And you no longer need environmentally negative batteries. It has long been the law in Scandinavia and Holland that cars must have their headlights turned on at all times. Extensive studies show that this reduces accidents and increases safety. The same thing applies to the iFlasher. Danish studies show that with bike lights on 24 hours a day, the risk of accidents including bikes falls by 33%. Simple and effective traffic safety. 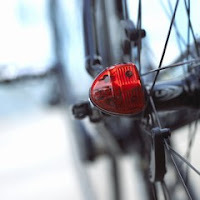 Danish bike light laws are very detailed and strict and the Reelights fits perfectly into the laws. tags: "bespoke bike gear", "bike accessories", "bike laws", "bike lights", "danish design"